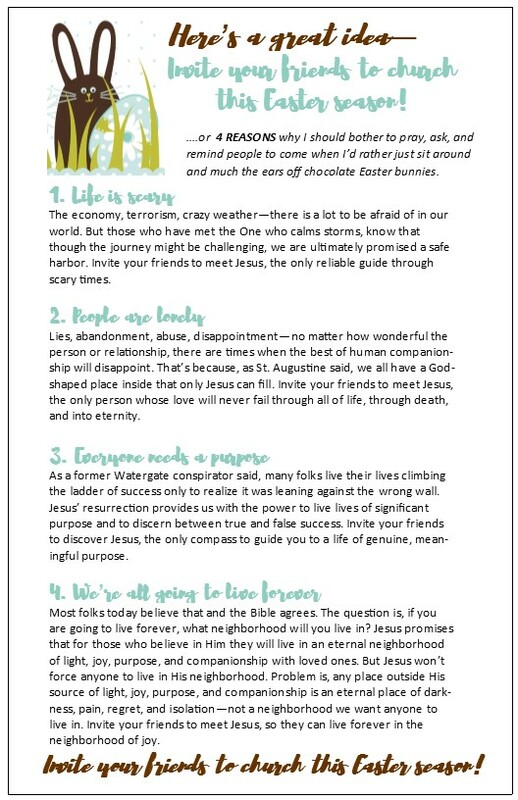 This FREE bulletin insert will motivate your people to invite their friends to come to church this Easter. Just click on the image to download it. It doesn't matter much if you merely think of Easter as a time for chocolate and brunch. It isn't really important if your Easter service is primarily about fun things for kids and a musical extravaganza as uplifting as that might be. But it does matter tremendously if you believe the message of Easter that Jesus Christ, fully God and fully human died on the cross to pay for the penalty of sin and that He rose bodily from the grave and is our living Savior and coming Lord. It does matter tremendously if you believe that those who do not trust him as Savior will miss far more than a petting zoo and free candy if they don't attend your church on Easter. The Bible says those who die without Jesus will spend eternity in darkness, pain and conscious regret. Your Easter message can change all that. We don't like to think about these things in a day when so much of the media message of the Christian faith is on what makes for your "best life now" and how to entertain people and make them feel good and prosperous. But closing our eyes to eternal realities doesn't make them any less true. Boldly proclaim the truth of the gospel this Easter and equip your people to invite their friends to hear you. 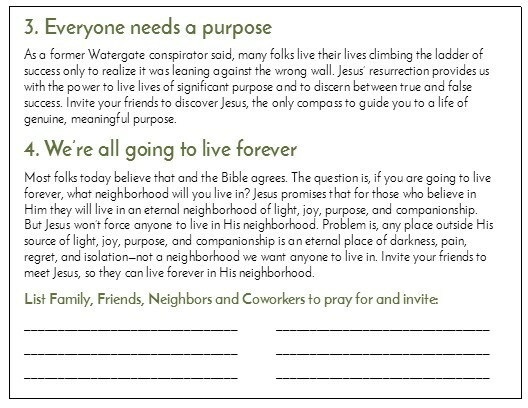 I have a free insert for you above (just click on the image to download the PDF, save and print as many as you want) will help motivate your congregation to invite their friends. 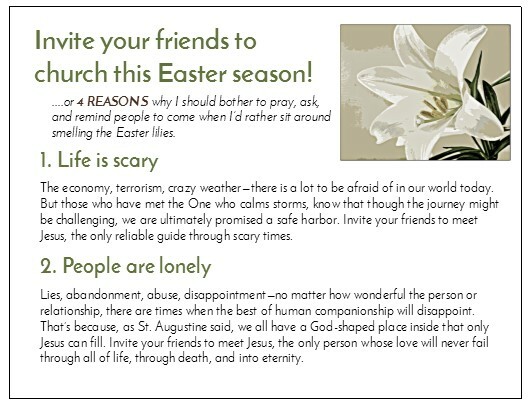 You can use these with a sermon or series on the importance of inviting friends to church for Easter and always. On the back is a place for people to list friends to pray for. 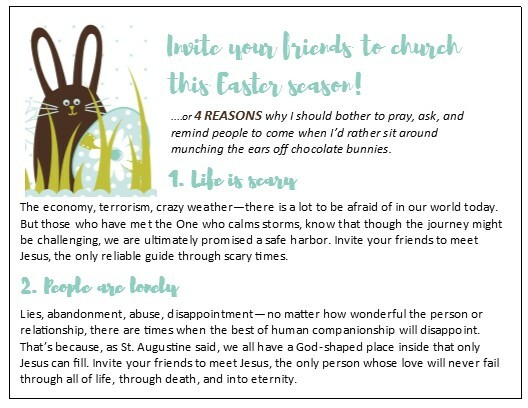 In addition to the Bulletin insert above, there is a larger collection of publications with the same text and idea of motivation to pray for and invite friends to Easter services. 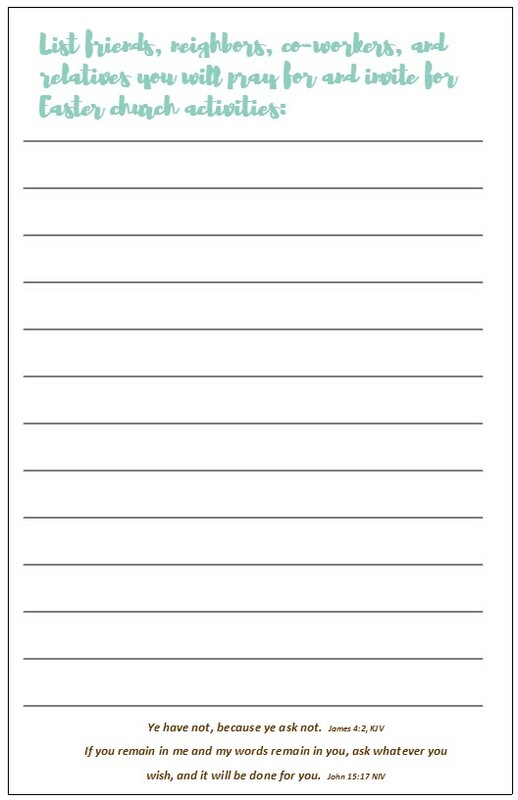 They are illustrated below and are in 1/2 and 1/4 sheet of paper sizes. You can download a ZIP file that has ready-to-print PDFs and editable MS Publisher files of the images below. 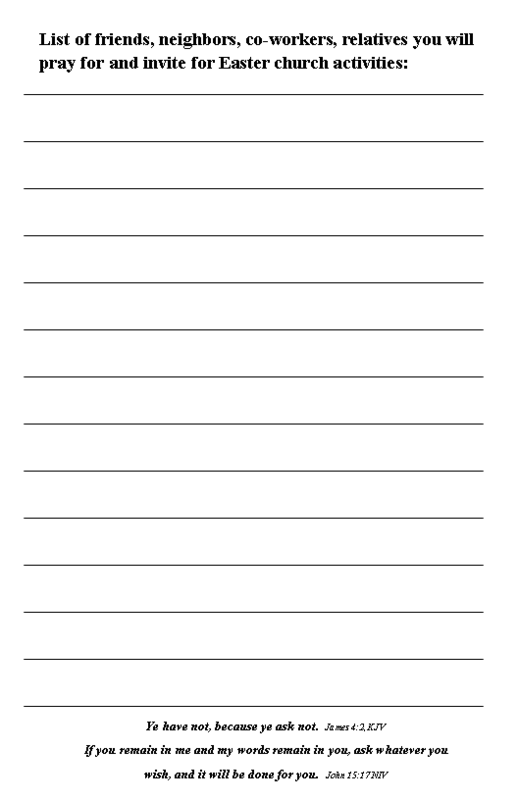 It also has a MS Word file of the text only if you want to create your own publications or use it on the web or in email newsletters or other materials. The link is below the images. Don't think about spending lots of money for purchased church outreach this Easter season. YOU CAN equip and inspire your people to be inviters with materials you create in the church! Have them pray for their friends, bring them to church and be part of introducing them to God's forever family. 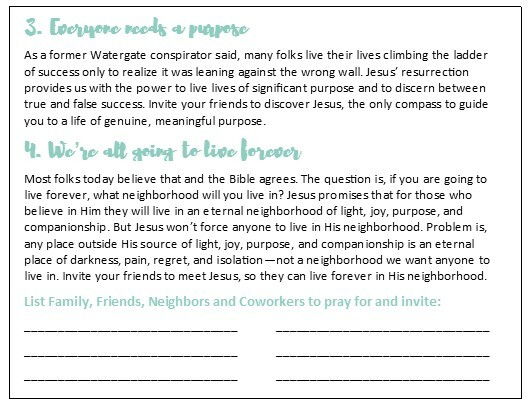 In other posts and upcoming articles, we'll have lots more ideas and communications to help your congregation invite their friends. CLICK HERE to sign up for notification of new materials. 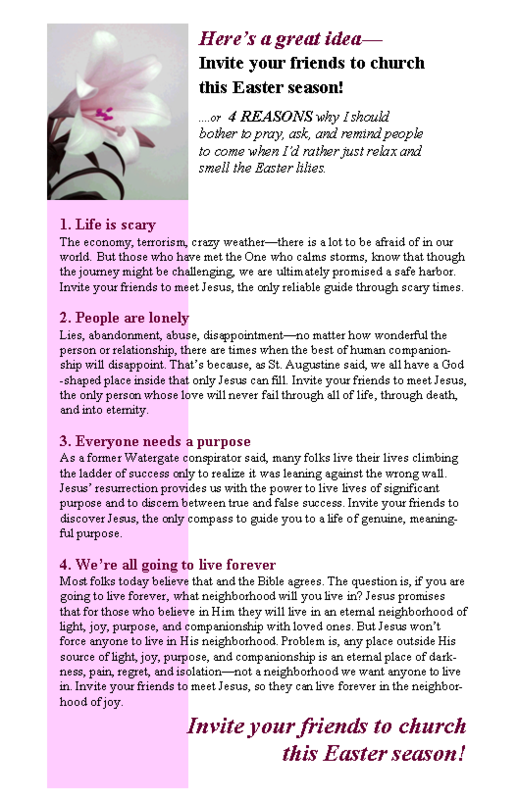 To get you started, CLICK HERE for a set of Easter Invitations.